Dolores Martínez is a liturgist and musician with the North American Forum on the Catechumenate, specializing in Spanish presentations on catechetical formation topics, Spanish and bilingual liturgy, and music. 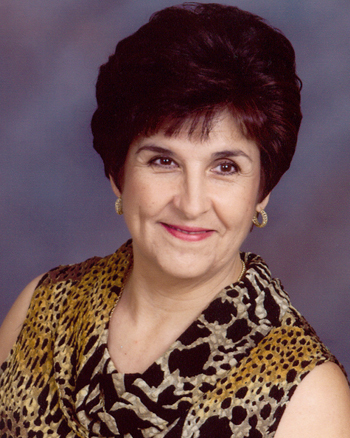 Dolores specializes in topics surrounding parish bilingual liturgy. Her experience working in offices of worship in dioceses with large Hispanic populations makes her an excellent choice for workshops dealing with issues related to parish bilingual liturgy. Dolores Martínez has extensive experience at both the parish and diocesan level. She is a liturgist and musician with the North American Forum on the Catechumenate, specializing in Spanish presentations on catechetical formation topics, Spanish and bilingual liturgy, and music. Dolores has served as director of the Office of Worship for both the Lubbock Diocese (1983-1987) and Archdiocese of San Antonio (1993-2006). She has been liturgy and/or music director for several parishes throughout Texas: Christ the King in Lubbock, St. Joseph in Slaton, St. Austin’s in Austin, Holy Spirit in Duncanville, and currently serves her parish, St. Mark the Evangelist in San Antonio, as an accompanist. While serving the Lubbock Diocese, Dolores was responsible for the state-side 500-voice choir for the outdoor Mass during the Papal Visit of Pope John Paul II to San Antonio in 1987. Dolores is a liturgist & musician for the North American Forum on the Catechumenate, as well as chair of the Hispanic Section of the National Association of Pastoral Musicians. She is currently an associate member of the Board of Directors of the Southwest Liturgical Conference. Dolores received a Ph.D. in fine Arts from Texas Tech University in Lubbock in 1990, specializing in piano & harpsichord performance. She received a master of music degree in piano performance from Texas Tech in 1980 and a bachelor of music in music education (piano & choral music) from U.T. El Paso in 1976. Dolores was a contributing editor for Liturgia y Canción for a three year cycle of commentaries. Many of her compositions were published in Flor y Canto, Segunda Edición. Currently, she directs the Office of Worship for the Archdiocese of San Antonio, Texas, a position she has held since 1993. Dolores offers workshops in liturgy and music throughout the country, specializing in bi-lingual and Spanish-only presentations.